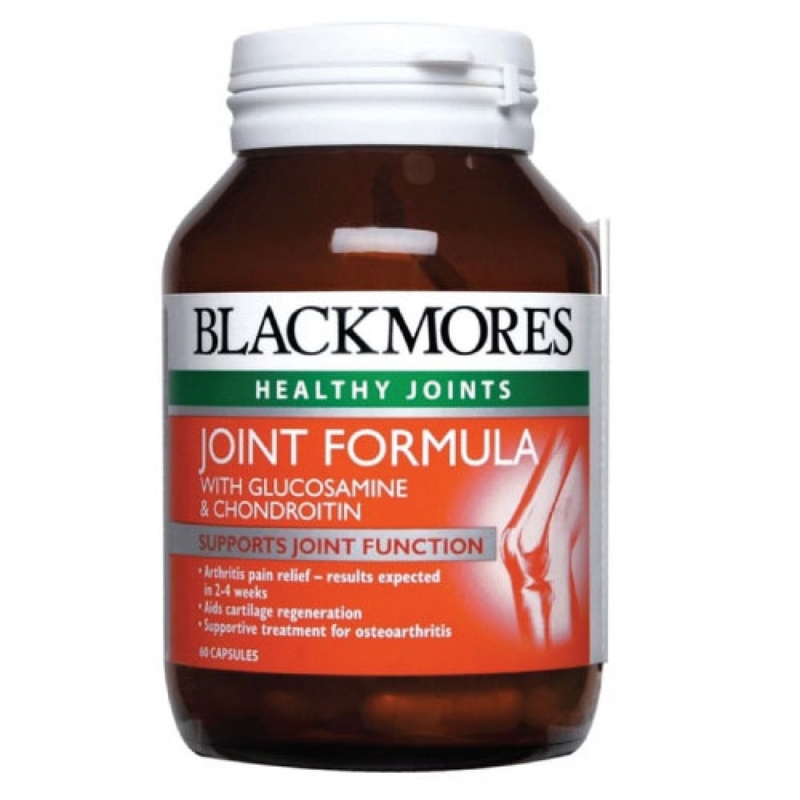 Blackmores Joint Formula is an adjunct to the treatment of osteoarthritis. It combines glucosamine and chondroitin to help stimulate the production and regeneration of cartilage and help relieve the symptoms of osteoarthritis. Blackmores Joint Formula is recommended for those with osteoarthritis and joint pain. Osteoarthritis is characterized by joint degeneration and loss of cartilage. As we get older the ‘wear and tear’ effects of everyday life may cause degenerative changes in the cartilage, making it more susceptible to breakdown and damage. Glucosamine is a natural component of the cartilage matrix and synovial fluid. It is a major building block of the substances that together with protein form the structural units in cartilage. These structural units, called aggrecan, are important for the elasticity, resilience and shock-absorbing properties of cartilage. Chondroitin, like glucosamine, is a natural component of cartilage. Chondroitin is involved in the lubrication and nutrition of the joint, and helps the joints to resist compression. This product contains an ingredient derived from crustacean shells. People who are allergic to seafood should exercise extreme caution. May occasionally cause mild gastrointestinal symptoms. If symptoms persist see your healthcare professional.